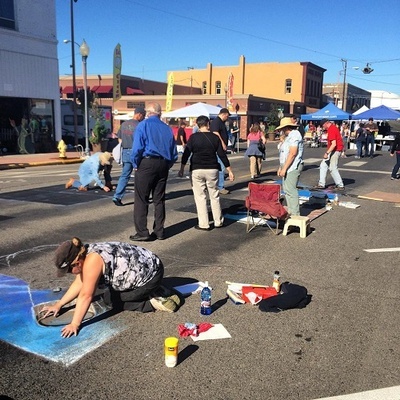 The Harvest Festival is held in conjunction with The Great Prosser Balloon Rally and Caren Mercer-Andreasen Street Painting Festival. PLEASE NOTE! This is a 3-day event. Unless you make special arrangements with the festival director prior to submitting your application you are expected to have your booth set up and be present for all three days. All artists and craftsmen are eligible to participate. 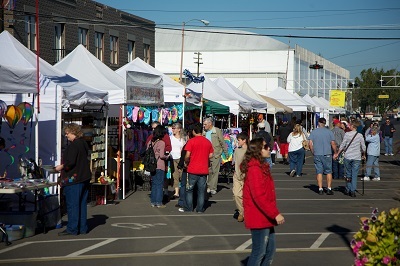 Each artist and craftsman is required to be present and sell their own work unless otherwise agreed to by the festival director. All media are eligible. Those representing companies such as multilevel marketing products and direct sales with not be accepted. We do not guarantee vendors exclusivity, but do reserve the right to refuse vendors to provide a variety of products. Booths will be set up back-to-back and side to side. 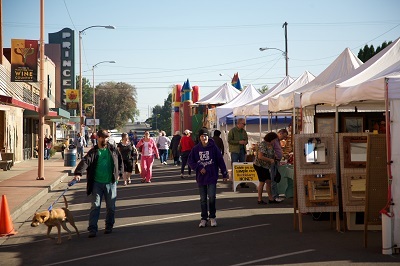 the festival will be in the downtown area on Meade Ave from 7h St to Banner Bank and on 6th St from Meade Ave to Bennett Ave. No motor home or large trailer booths are allowed as they visually block other booths. We make every effort to accommodate location requests if submitted with your application, but no guarantee of a specific space is possible. Once your application is accepted, no refunds will be given.